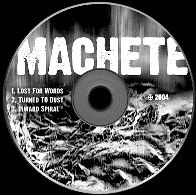 The Machete is a finnish thrash'n death metal band, formed in 2003. Their first release was demo in 2004 and their debut album "Regression" was released in 2005 by Spinefarm records. 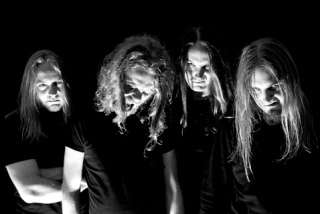 The Machete is a band formed by 5 members, 2 of which are better known as a guitarist (Tuomo Saikkonen) and bassist (Santtu Hämäläinen) from another finnish band Mokoma. In The Machete Tuomo Saikkonen is in vocals, Santtu Hämäläinen and Juha Javanainen in guitar, Antti Vajanto in bass and Teemu Saikkonen in drums. Band's new album "Untrue" was released 5.9.2007 and it was chosen as album of the week by Finland's biggest metal media Imperiumi.